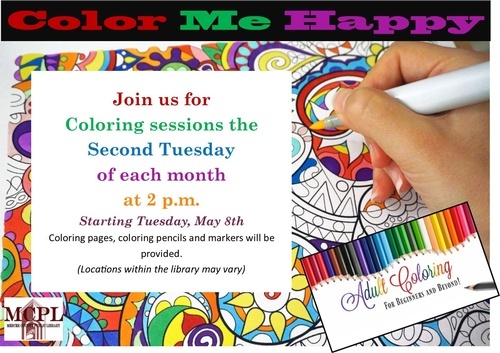 Join us for Coloring sessions the Second Tuesday of each month. Coloring pages, coloring pencils and markers will be provides. Location within the Library may vary.